Our materials engineers fabricate rubber gaskets, spacers, bumpers and more from elastomeric materials. We use your prototyping or final design specs to create a product that is exactly to your dimensions and characteristics. We commonly use die cutting, laser cutting and kiss cutting for shaping rubber material into final products. Kiss cutting allows for the product to be layered with an adhesive and held on a paper backing for easy installation. 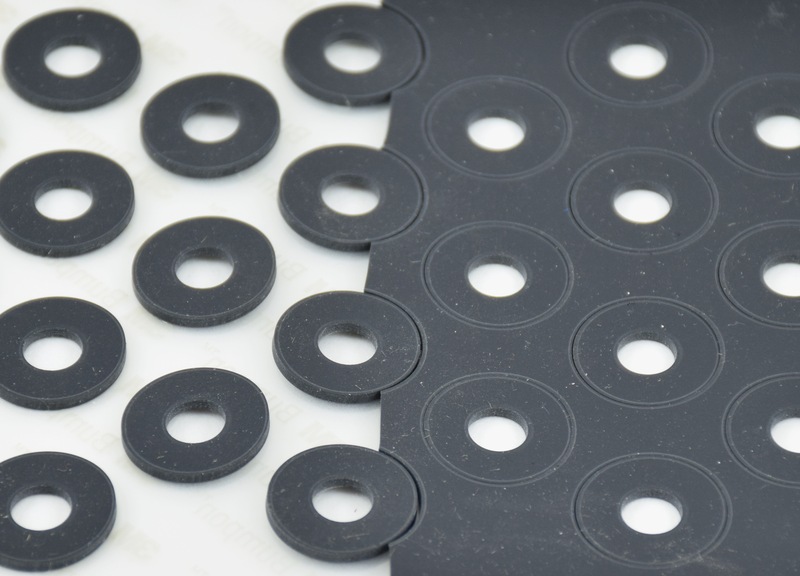 Solid rubber products are used in gaskets, high-pressure seals, abrasion resistance, cushioning, press pads and more. Many rubber compositions are also available in a variety of firmness.